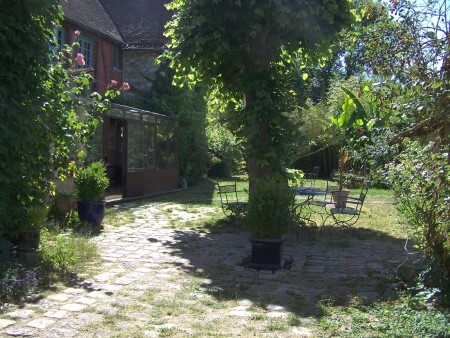 Eric and Christelle Carrière live in an ancient house on a peaceful street of Giverny. Nearby their home they have fit out two little houses into Bed and Breakfast rooms and country lodgings. 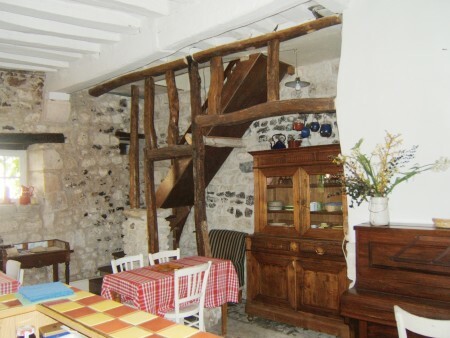 The rustic style of the renovation - stones and exposed beams - and the vintage countryside decoration give these several-hundred-year-old cute little houses a Bohemian charm. 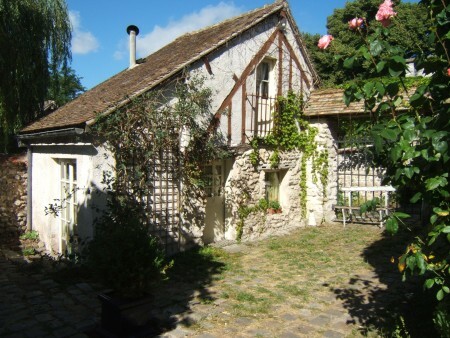 In the summer you will have breakfast in the garden under the canopy of the bread oven. 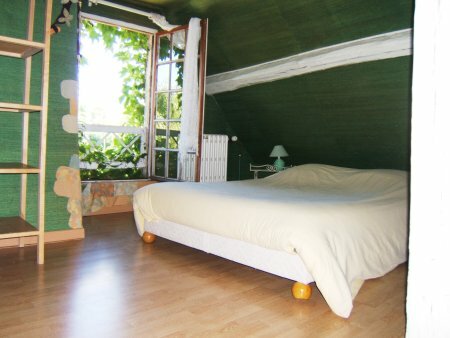 During season from April to October rates are based on a daily or weekly rental. 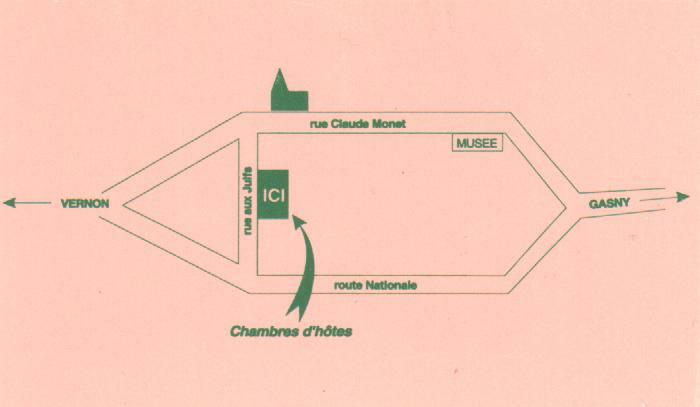 From November to March, when Giverny's museums are closed, rooms rental by the month. 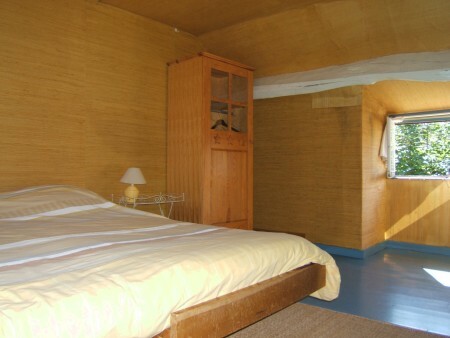 The two garret bedrooms are both with shower and wash basin. Separate WC. One bedroom has a 1.40m x 1.90m double bed, the other has a 1.80m x 1.90m double bed that can be separate in two 0.90m x 1.90m single beds on request. 1 bedroom on ground floor with shower, wash basin and WC. Little kitchen. 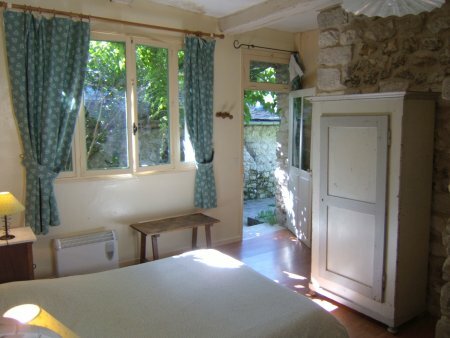 It is made up of a little living room, a kitchen, a double bedded bedroom and a bathroom with WC.